Names: Baldhip Rose is also sometimes called Wood Rose, Dwarf or Little Wild Rose. Baldhip and Gymnocarpa (meaning naked fruit), refer to the fact that the flower sepals do not remain attached to the fruit. Relationships: There are over 100 species of rose world-wide and thousands of cultivated varieties. Most are native to Asia, but several are also found in Europe, North America and Northwest Africa. There are about 22 species native to the United States. 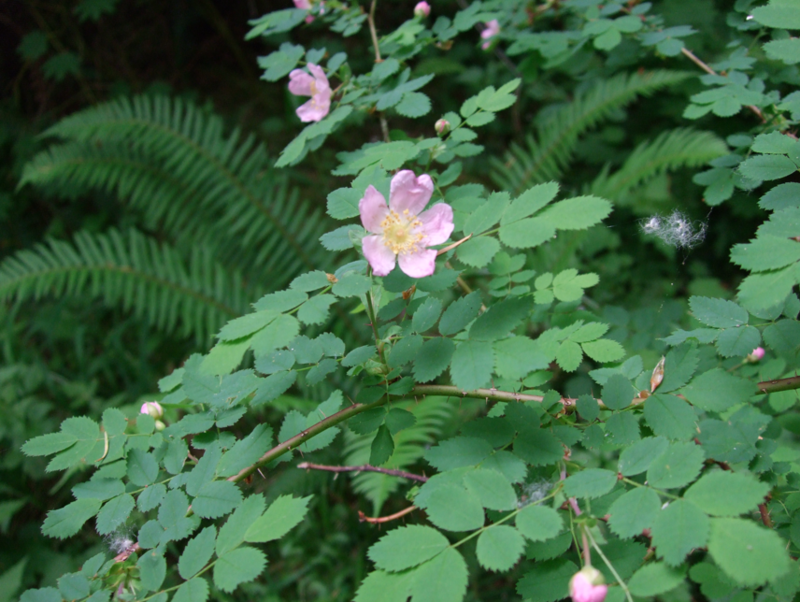 We have 3 common species on the west side of the Cascades in our region: Rosa gymnocarpa, R. nutkana, & R. pisocarpa. R. woodsii is common on the east side of the Cascades. 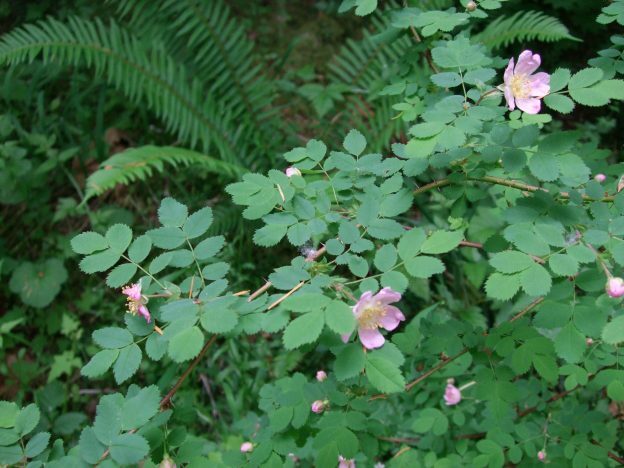 Distribution: Baldhip Rose is found from southern British Columbia to the southern California coast in the west, to northern Idaho and western Montana in the east. 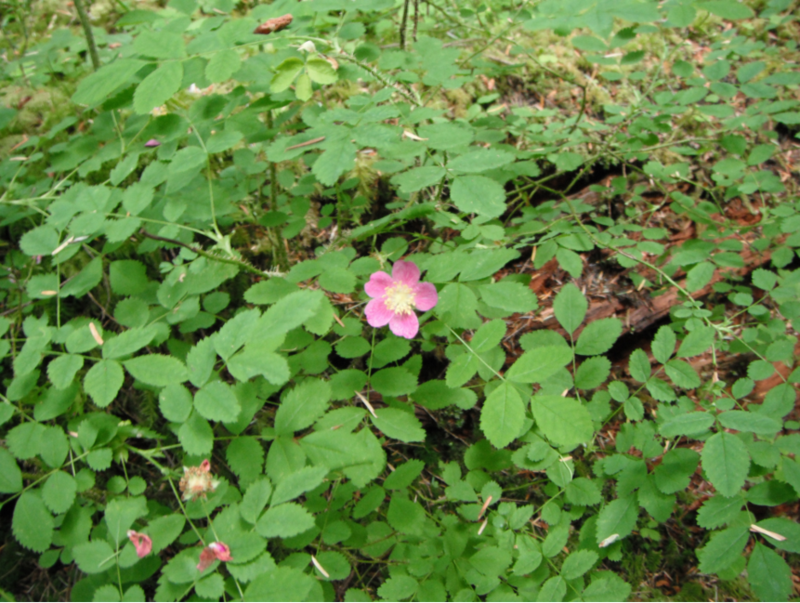 It is also called Wood Rose because it is a woodland species. Habitat: This species grows best in dry to moist open forests. Wetland designation: FACU, it usually occurs in non-wetlands but occasionally is found in wetlands. Growth: It is the smallest of our roses, usually only growing to 2-5 feet (.5-1.5m). Diagnostic characters: Bald-hip Rose is the easiest to distinguish from the other roses. Its stems have many soft, bristly, straight prickles. Leaves have 5-9 toothed leaflets. Flowers are small, pale pink to rose, fragrant, and are usually borne singly at the ends of branches. 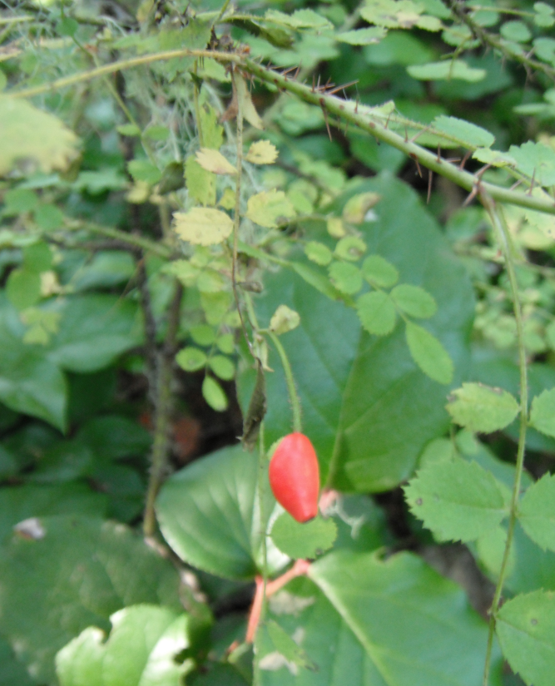 Fruits are small, red, pear-shaped, berry-like hips, with no sepals remaining attached. In the Landscape: Although not as spectacular as is its cultivated cousins, Baldhip Rose can be charming in a woodland garden. It is one of very few roses that grow well in the shade. Phenology: Bloom time: May-July; Fruit ripens: End of July, persisting through winter. Propagation: Sowing seeds in autumn yields the best results; seeds may take two years to germinate; scarifying may speed the process. The root crown and rhizomes may be divided. Semi-hardwood cuttings are possible but may take a year to become viably established. Use by People: This rose was not used as much as other roses by natives. A tea was made from the young leaves. The leaves and bark were toasted and smoked, often mixed with tobacco and other plants. A decoction of the bark was used as an eyewash. Chewed leaves were applied to beestings. The fruits of this species, being very small, were not often eaten. Hips were used as beads by children. birds, and insects. In the Pacific Northwest, white-tailed deer and mule deer browse baldhip rose especially in burned areas The fruits (hips) persist throughout the winter, and are eaten by small mammals, birds, and insects. 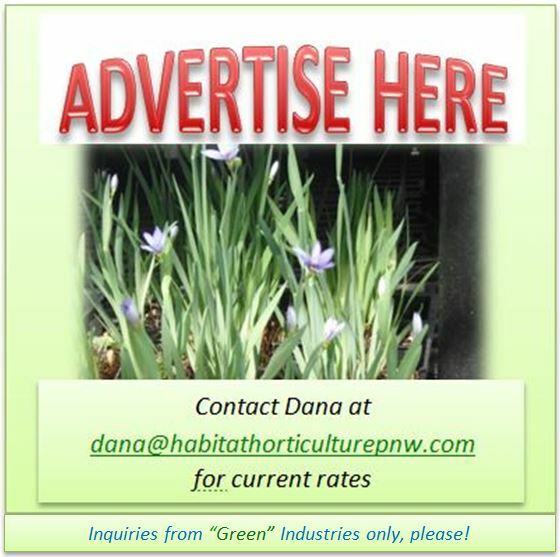 This entry was posted in Deciduous Shrubs & Vines on June 20, 2016 by habitatdana.